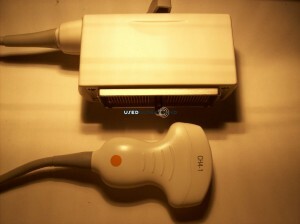 UsedUltrasound.com is your top source for used renal ultrasound probes and transducers. We carry quality used ultrasound equipment for virtually any application, including everything you need for renal and kidney ultrasound imaging. Our prices can save you as much as 60 percent off the retail cost, and we guarantee your satisfaction or your money back. We have a dedicated team of ultrasound experts whose main goal is to provide refurbished ultrasound equipment at the lowest possible prices. Contact us today if you would like a price quote on any of the used rental ultrasound equipment for sale at UsedUltrasound.com. If you are searching for the lowest prices on refurbished renal ultrasound probes and transducers, we know that you have a lot of choices. From online auction websites to overseas resellers, there are plenty of places to buy used renal ultrasound transducers. Even though it may appear that everyone is selling the same equipment, that’s really not the case. First, UsedUltrasound.com is an FDA-registered company that is based in the United States. You won’t get that peace of mind from an auction or a seller from another continent. Second, we only deal with quality equipment that meets or exceeds the original manufacturer’s specifications. 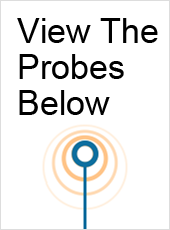 So give us a call or fill out the quick contact form and we’ll gladly provide current price quotes or answer any questions you have about buying used rental ultrasound transducers or probes. In addition to providing you with the lowest prices on used rental ultrasound machines, probes and transducers, we can also help your bottom line with an ultrasound service contract to keep your repair expenses in check. Contact a member of our professional customer service staff today for more information about ultrasound repair, or if you need any information about our inventory of rental ultrasound equipment for sale.